The Paper Mario series, despite it's commercial and critical success, has never been the biggest branch of the Mario franchise as a whole. Simply put, it has easily offered some of the best adventures that the loveable plumber (supposedly) has ever been on, constructed with tons of thoughtful game design and, of course, a gorgeous, unique visual style. Paper Mario: Sticker Star returned to the turn based battle system that the series began with in it's inception, albeit with a new twist: stickers. The entire battle system is built off in game stickers which are found across the numerous worlds, which allow Mario to perform a number of unique attacks and special moves. There are many perks and flaws to this mechanic - the designers did a great job in terms of variety, as all the different sticker types inject plenty of different outcomes into the game when it comes to battling against all sorts of unique enemies. As you collect more and more stickers, you explore new tactics, and it's always good fun to test all the different moves you can acquire. You can also use a number of stickers based on real world objects, apprporiately dubbed "things", to cause more damage in battle or alter the in game environment to overcome various obstacles. It's good fun, but finding out the right way to go about this is often just too vague. Stickers are far from uncommon, so running out of them isn't always a major problem, but it can be a nuisance to backtrack every so often to collect more and more just to use basic attacks. This hinders your ability to keep everything balanced in many ways; you want to use all kinds of stickers to have fun, varied battles and conquer tough foes, but you also feel required to hoard them in fear of having to revisit old levels to stock up again. Sticker Star also felt a bit underwhelming in a narrative sense, lacking the usual compelling storytelling that has been a trademark of the series. I'll be brutally honest - I really liked this game, but it had several key flaws that hindered a potentially superb experience, and so the fact that it disappointed so many people doesn't surprise me a great deal. 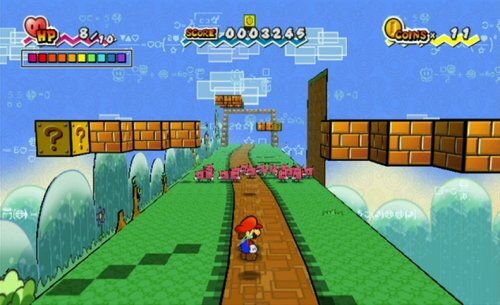 Super Paper Mario stowed away with the turn based battle system and 3D visuals that it's predecessors adopted, leaning further towards the gameplay style of a 2D platformer with some unique RPG elements blended into it. The other key element to the gameplay is the fact that the player can flip from a 2D to a 3D perspective, which can unveil a number of hidden pathways throughout each level. The four playable characters, Mario, Luigi, Peach, and Bowser, can all be swapped between as the game goes on, and as each character as their own unique abilities that help in a variety of situations, adjusting to their strengths and weaknesses is a crucial strategic element. Super Paper Mario also has one of the best narratives of the entire franchise, not just the Paper Mario brand. It's heartfelt, complex, and told with sharp wit and dramatic depth; something very, very rare for a Mario game. Sure, emotional storytelling isn't new to the series, but Super Paper Mario, for me anyway, took it to a new extreme - thanks to it's superb cast, exceptional dialogue, and overall solid writing. Aesthetics and gameplay are spot on, but from a story perspective, this is also one of the better entries to the franchise. 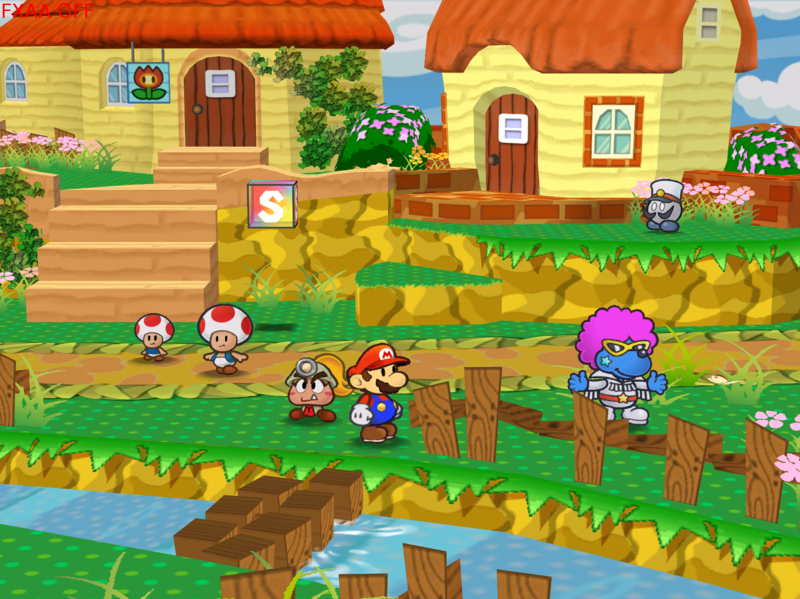 Paper Mario enjoyed a little bit of success after being released at the end of the Nintendo 64's life cycle, only two years before the Gamecube debuted globally. 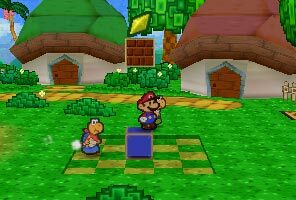 While not the first Mario game to adopt RPG elements and turn based battles, Paper Mario was still renowned for having a vastly different approach to the Mario universe and offering a new experience for even the most loyal fans. Two dimensional sprites combined with beautifully rendered backdrops make for a wonderful visual style, which is complimented by a cute, vibrant art design that perfectly captures the tone of the series. Compared to it's successors, the narrative is quite simple, but still incredibly entertaining, with a gripping sense of adventure and fun, as well as some emotionally resonant surprises here and there. Witty dialogue is a key perk and one that carried over into the sequels as we've seen, as is the trademark of a wonderful, memorable cast of characters. The complexities of RPG games have been captured yet also suitably simplified for a general audience, and the final result is easily one of the best games for the Nintendo 64, despite it being one of the last. Do I ever shut up about this game? Clearly not. You can find me rambling on about it here, in my personal ranking of it's individual chapters, and here, in an overview of some of Mario's Gamecube outings - but I can still offer you another little summary of it's overwhelming amazingness. As with the sequel Super Paper Mario, The Thousand Year-Door boasts one of the most engaging and thoughtful narratives to grace a Mario game, and I was always truly surprised how dramatic things got as you edged closer and closer to the epic climax. Memorable characters and a well drafted script help to keep us hooked from beginning to end, and such narrative focus is a crucial element to an RPG - as a result, The Thousand Year-Door becomes an unqualified success. BUT the story isn't the only thing. Of course not. The gameplay itself is just as well structured, complex, and ambitious for it's time - an enormous world that gamers are free to explore is created in a beautifully rendered visual style, somehow all able to fit onto that itty-bitty 8cm Gamecube disc. The boss battles, puzzles, and overall sense of variety make for a fantastic experience throughout, with not a single dull moment. Always my favourite game, and nothing will ever change that. UPDATE: This blog post has now been adapted into a video for the gaming channel ProjectFalconPunch! Check it out via the link below!